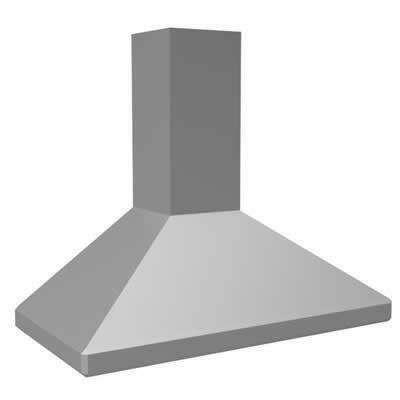 Vent-A-Hood 30" Euroline hood. The Euroline Series with Emerald Lip is a versatile European style hood that can stand alone or be installed between cabinets. Heat lamps are not available on this model. 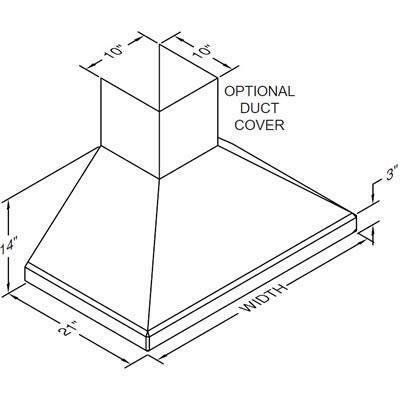 All Vent-A-Hood products are suitable for use in damp locations (outdoor applications such as a covered patio) when installed in a GFCI protected branch circuit. Additional Information This model is equipped with halogen lighting: (2 lights: 30" - 41", 3 lights: 42" - 48"); Shown with optional duct cover (sold separately); Optional duct covers are available in standard and custom sizes.